Several reports published over recent months have all concluded that France has overtaken Spain to become the most popular country for Brits seeking to buy property abroad. Two major real estate companies (sale/purchase and holiday rental) surveyed 1,700 holiday home owners to find out what it is that has put France at the top of the popularity ladder. There are many factors, not surprisingly one of which is France's property market being more stable than Spain's turbulent experiences. Property prices have not dropped as dramatically as other countries in the global slowdown: buyers need to feel confident of the future when investing in property abroad. French banks have continued to lend on second homes, further stimulating the market. The French government confirmed that they are not going to tax owners of holiday homes and this has no doubt influenced buyers too. The country offers a wide variety and buyers want properties close to restaurants, bars, airports and beaches. Buyers are also attracted by extensive tourist infrastructure, cultural and historical attractions, golf courses and children's entertainment. For Brits another consideration is its ease of access from the UK and the wonderful French lifestyle. Nearly 30% of all overseas properties bought by UK buyers, since the recession in the UK, are in France. 33% of those surveyed with holiday homes, said the income generated from letting out their property fully covered their costs. 55% said it partially covered them and 13% said they made a profit. 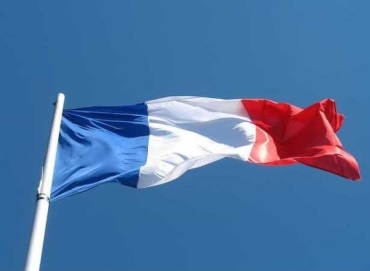 Rightmove, a major property search portal, reports that over 20% of all searches in November 2011 were for properties in France making it the top country and that they have had more searches for French property than ever before. All in all, France is the number one destination for buying property and making a great investment for now and the future. With booming tourism, holiday rental income is easy to achieve and will contribute to your good capital investment.